Australia’s biggest celebration of spring – returns to Canberra for the 29th year! 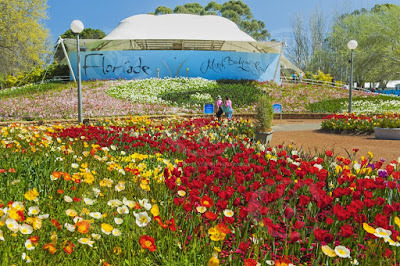 The Floriade festival is the ideal place for someone to experience the magic of the Australian spring over 4 themed weeks. The first week focuses on Smart Living and gives the opportunity to its several visitors to gain knowledge about bio-organic gardening. The aims to inspire you with all the new trends from experts in the field while 3rd week explores the theme of Invention and technology. Week 4 focus intents to inform you about the multicultural heritage of the country and focuses on the topic of Contemporary Cultures. You can come across with traditional dances and traditional dishes. Saturday 17 September 2016 until Sunday 16 October 2016.